The most important take-away points from the 2012 Trustees Report will be that Social Security has a large and growing surplus; that without any Congressional action, Social Security will continue to pay benefits to America’s eligible working families for decades; and that with modest legislated increases in revenue, it will continue to pay those benefits for the next century and beyond. Because the economic recovery and wage growth have been slower than expected and the cost of living was higher, this year’s report is likely to project that the number of years that Social Security can continue to pay benefits in full with no Congressional action will be a year or two shorter. But it is still decades away -- and the precise year has fluctuated in virtually every Trustees Report, sometimes sooner, sometimes later. The fluctuation is unsurprising given the uncertainties related to projecting inflation, wage growth, productivity, immigration rates, fertility rates, and other factors so far into the future. With the issuance of the 2012 report, journalists will have an opportunity to correct the common misunderstanding that Social Security is now paying out more in benefits than it is collecting in income. Social Security is prohibited by law from doing that, and if there were less income than outgo this year, the Trustees would be announcing an immediate cut in benefits. They are not. 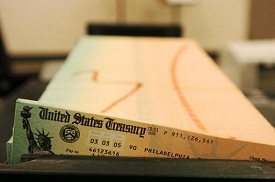 Journalists can clarify that Social Security has three revenue sources: Payroll contributions from employers and employees, interest earned on Social Security’s U.S. Treasury bond holdings (which have the same legal standing and status of all other Treasury bonds issued by the government), and income taxes on the Social Security benefits paid by those with higher incomes. The report will likely project that Social Security’s benefits and administrative costs in 2012 will exceed the amount of payroll tax contributions collected -- but that is not surprising in light of the stagnation of average wages and continued high unemployment. Indeed, it has happened 18 times since 1958, according to the Social Security Administration. Payroll contributions along with interest and taxes will be more than enough to cover the cost of the program this year. Last year’s report projected that at the end of 2011, Social Security would have an accumulated surplus of around $2.7 trillion, which it now has.  This year’s report will show that it will be even higher at the end of 2012. Social Security’s long-range funding gap, modest in size and still decades away, should be addressed sooner rather than later, in order to restore public confidence in the program. But whenever it is addressed, it should be done in the sunshine, and only after the current deficit debate is concluded and the federal debt limit has been increased. By law, Social Security cannot borrow. If it lacks the revenue to cover benefits its only recourse is to cut benefits. Thus, it does not contribute to the federal deficit. Cutting its modest benefits does not reduce the federal debt subject to limit by a penny. Discussing Social Security in the context of the deficit debate risks reinforcing the widespread misperception that the government is stealing the contributions of hardworking Americans. Social Security’s projected long-range funding gap could be eliminated without cutting benefits, which are modest in size, yet crucial. Congress could eliminate Social Security’s entire projected shortfall, which amounts to around 0.8 percent of Gross Domestic Product (about the size of the Bush tax cuts going to the top two percent of the population), by raising the Social Security tax cap so that the 6 percent of workers who make more than $110,100 a year pay taxes on all of their wages, just like everyone else who makes less than that amount. This would guarantee full payment of Social Security benefits for the next 75 years and beyond. There are many other ways to address the projected shortfall without cutting benefits which are already very modest, averaging just $14,781 a year for retirees – less than is paid in a year of minimum wage work, yet vitally important. Two-thirds of seniors rely on Social Security for half or more of their incomes. The benefits are also vitally important to children and spouses of deceased workers, to workers who have sustained permanent and serious disabilities and to their families. The release of the report provides journalists with an opportunity to inform the public about the retirement income crisis facing America’s families. The Retirement Research Center at Boston College estimates that nearly one half of Americans will not be able to maintain their standard of living in old age; 6 out of 10 when health and long-term care costs are included in the estimate. The finances and retirement savings of many persons nearing retirement have been hit hard by the Great Recession, the collapse of the housing market and loss of pension protections. Decades-long shifts in the economy and pension coverage have diminished the upward mobility and income prospects of many young and middle-aged persons. Also see our 2010 article about questions the press should be asking on the release of the Social Security Trustees Report for Nieman Watchdog: News flash! Journalists prepared to once again utterly misread annual Social Security Trustees report. All interested parties, including those in opposition, should be included in negotiations -- this allows for movement in the right direction and reduces the risk of having reform killed entirely. S.S. & Medicare are NOT an entitlement!! Social Security and Medicare are as far from being an entitlement as you can get. I wish people, especially obviously otherwise intelligent people, would quit calling it that. All the years you work, you pay into these programs. That is NOT entitlement. The 1% tax breaks are entitlement. Do away with those and it will solve alot of our problems. I heartly disagree with yo. SS and Medicare are both insurance programs into which I paid. As such I am "entitaled" to reap the rewards of said programs. The Repukes have made a mocery of the word "entitalment" meaning something to the effect of a "give-away" by the government of which they are not I bought and paid for them and i am entitled to the rewards of a sound envestment. The CBO projected that the surpluses Clinton left for Bush were enough to pay off the entire US debt by the time that the Social Security/Medicare trust funds would have to be amortized for beneficiary payments, all without having to raise taxes to pay for the amortization of those trust funds. These “surpluses” were made up entirely of excess payroll taxes building up the trust funds. Bush took those excess payroll tax receipts and gave them “back” as income tax reductions, heavily weighted to the wealthy–who didn’t create those surpluses in the first place. By doing this, Bush guaranteed that taxes would have to be raised in order to amortize the trust funds. The failure to do so simply permits the Republicons to steal the money contributed by workers for their retirement. Everything about not raising taxes or limiting expenses, is about stealing our money. The interest on the Social Security Bonds' principal is counted as income, but not as cash income. That is because the interest and principal of the trust fund were spent over the years for current government expenses. How can the cash be in 2 places at the same time. Was this cash supposed to be spent for other government expenses? No, it was to be reserved for Social Securitry beneficiaries in special nonmarketable Treasury securities. Through this special reservation of benefits, Social Security was already privatized, to be accumulated and spent only for Social Security beneficiaries. There IS a cash shortfall today, and has been a cash shortfall since 2010. It says it right in the current report!